Remember: In the Middle Ages, the Church still recognized Classicism as intellectually valid. In fact, Classical knowledge was the ONLY source of secular knowledge. 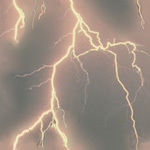 So do the Classicism lightning test first. The test questions here assume that you have Classicism under your belt.